Vitamin C is key to collagen production. Collagen is vital to keep skin healthy, resilient, and young. Vitamin C also reverses sun damage, fades discoloration and prevents acne. But many Vitamin C serums can be harsh on the skin due to fillers, color dyes, fragrances or additives. 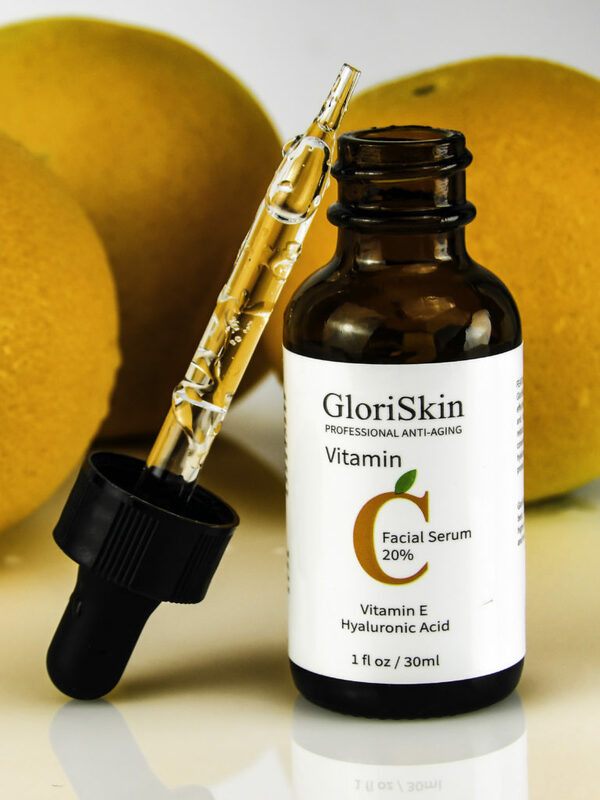 GloriSkin Organic Vitamin C Serum contains 20% Vitamin C, Vitamin E, Hyaluronic Acid, Ferulic Acid, Jojoba Oil, and Citrus Stem Cells. It has no fillers or additives. The result is better skin without the irritation. 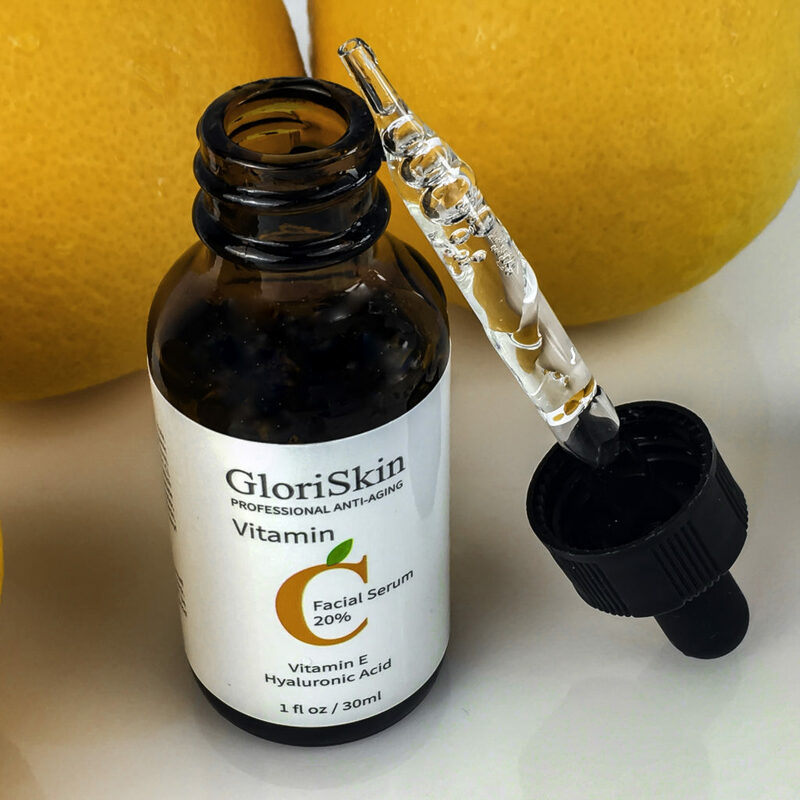 There are two big features that make GloriSkin Organic Vitamin C Serum stand out from other Vitamin C serums. It has an exceptional ingredient list, especially for the price point. NO RESIDUE: I MEAN NONE. NADA. ZIP. 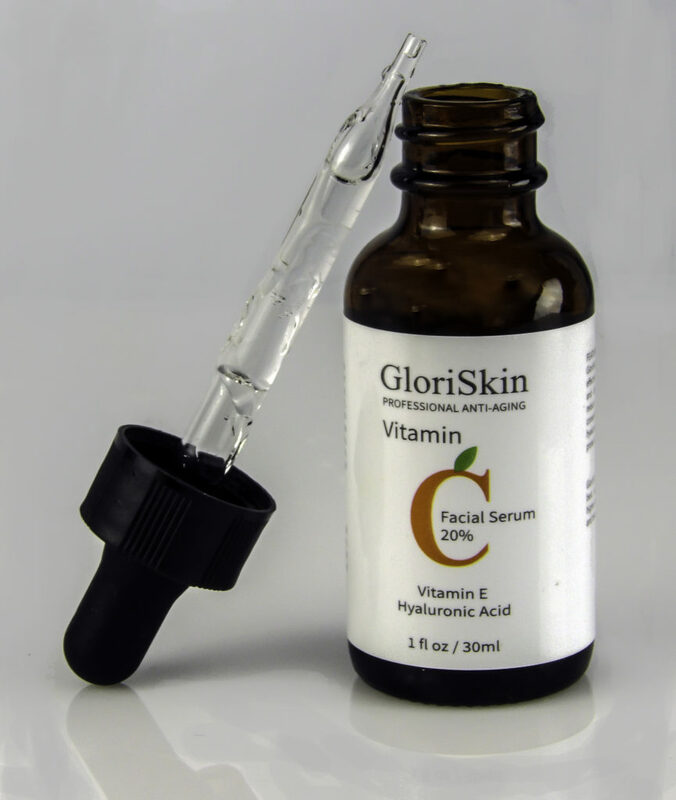 GloriSkin Organic Vitamin C serum has zero residue and it goes on smooth under makeup, sunscreen, and moisturizer. It doesn’t feel tight, dry, tacky, sticky, oily or greasy. It feels like my skin. The wearability of this makes this a go-to Vitamin C serum product. Skin doesn’t feel tight or dry after use at all. In the past, I’ve often skipped daytime Vitamin C because I don’t want Vitamin C serum residue or oil interfering with my makeup. I don’t have to make a choice between makeup or Vitamin C with GloriSkin Organic Vitamin C Serum, which I love. It is a liquid texture, not quite as thin as water but not as thick as juice. It is not gummy. There is no detectable or strong fragrance. 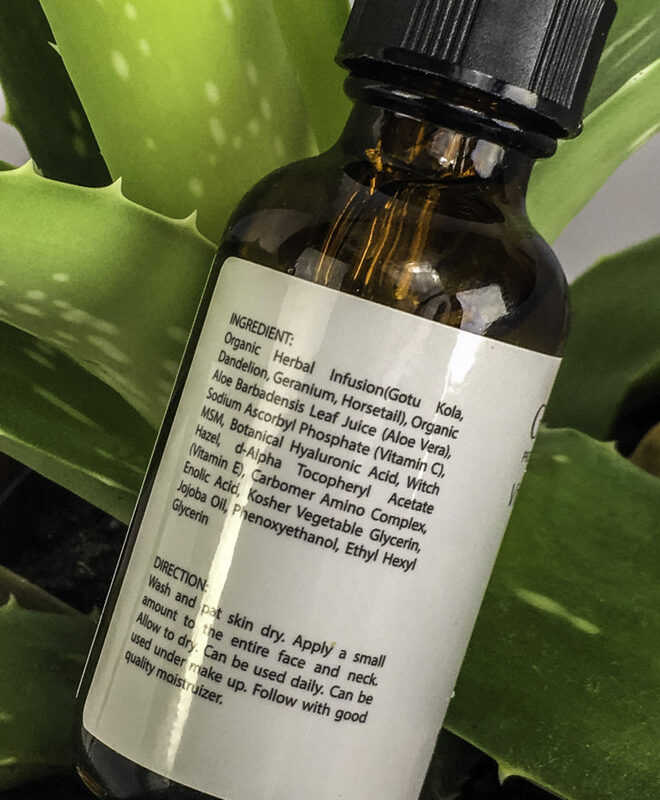 HOW TO USE: I spread a few drops in a thin layer over damp skin, paying special attention to the nasal labial folds, eleven lines, and areas with sun damage or enlarged pores. I find it gentle enough to use on the throat, decolletage, eye area and around the mouth. Soothing Jojoba and Vitamin E make it gentle enough to use twice a day with no irritation, even on crow’s feet. GloriSkin Organic Vitamin C Serum contains many effective ingredients. Add to this that it’s organic and it makes for a real winner. You will recognize some of these ingredients from products that are two to three times the price. The main ingredient is 20% Vitamin C, which provides the skin the building blocks to rebuild collagen. Collagen keeps the skin firm, meaning fewer wrinkles and sagging. 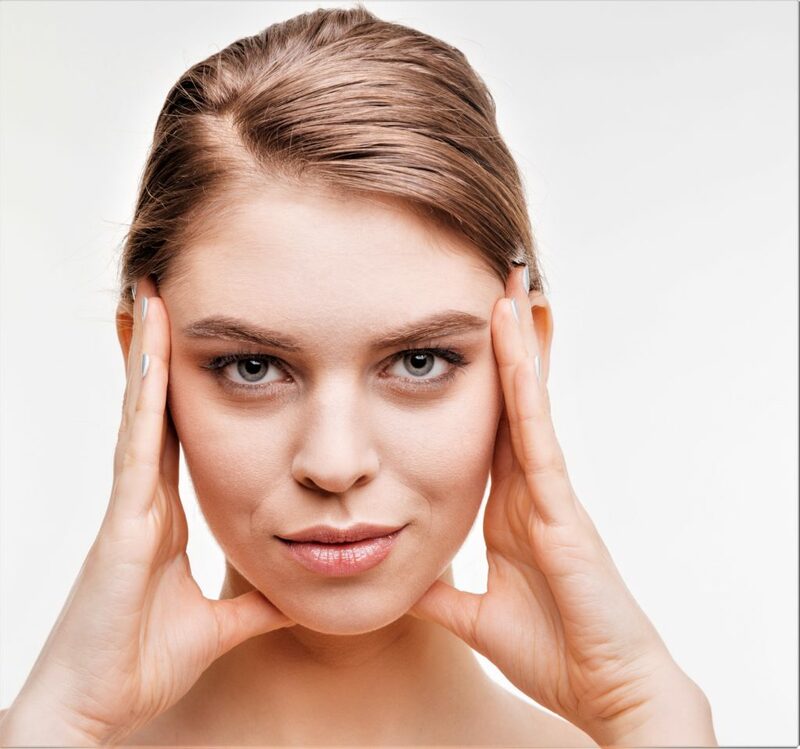 Even enlarged pores can result from loss of collagen. Vitamin C also fades discoloration and discourages adult acne. But as great as Vitamin C is, it needs the right supporting ingredients to work wonders. Ferulic Acid is an antioxidant that when paired with Vitamin C does more than the sum of their parts. Ferulic Acid helps reduce sun damage. 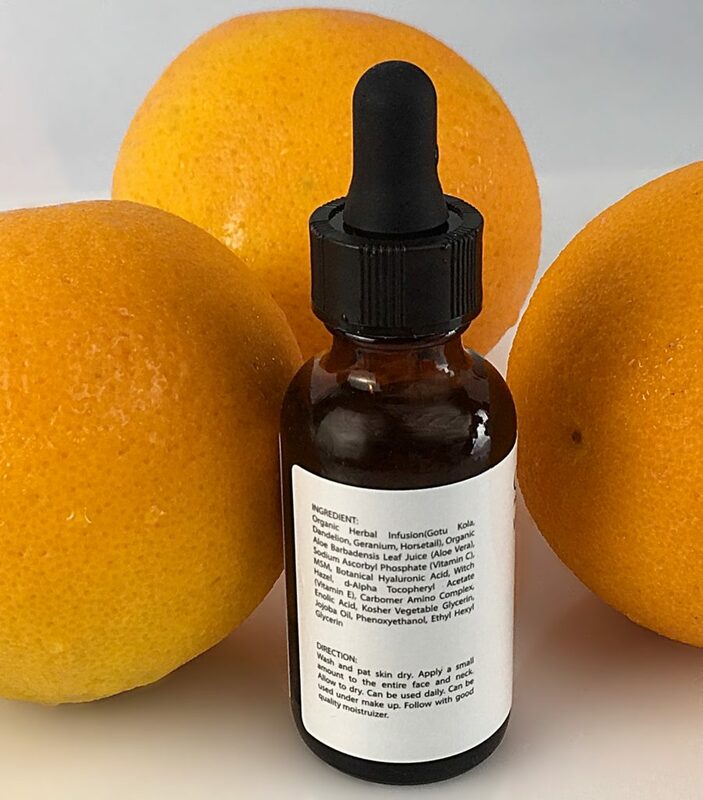 A 2008 study in The Journal of Cosmetic Dermatology found Vitamin C with Ferulic Acid reverses existing sun damage and can actually prevent future UV sun damage. MSM is one of my favorite skin care ingredients because it brightens the skin while moisturizing. MSM is excellent with Vitamin C because enhances the production of “collagen bundles” that prevent skin sagging. Hyaluronic Acid holds so much moisture that it instantly plumps my fine lines. Hyaluronic Acid also helps active ingredients sink deeper into the skin. 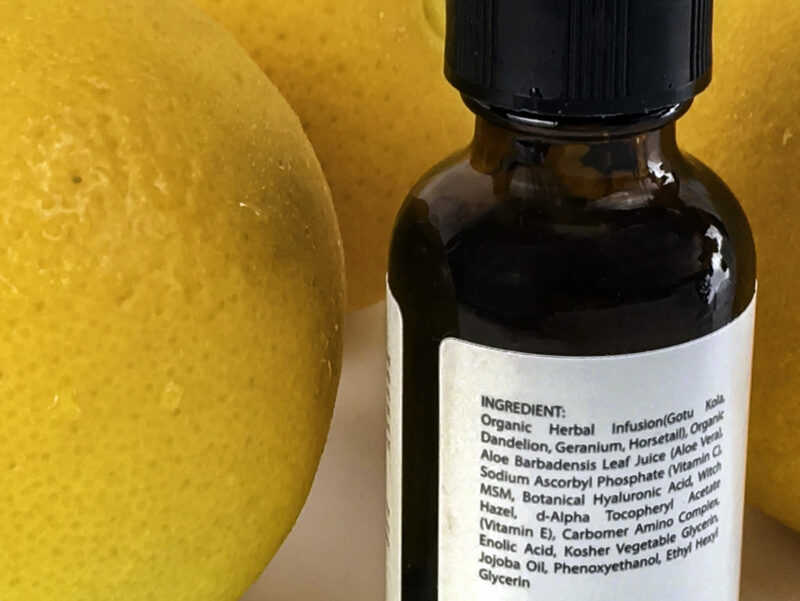 Citrus Stem Cells protect skin from oxidative stress and help reverse skin damage. The moisturizing agents in this serum also feed and heal the skin. Aloe Vera contains nutrients to keep the skin healthy, hydrated and nourished. Jojoba is soothing to the skin, having the dual ability to soften wrinkles and ease acne. Vitamin E makes rough, sunburned, scarred or otherwise damaged skin soft and pliable. Once the skin is pliable, other treating ingredients can work their magic. I’ve been able to use GloriSkin Organic Vitamin C Serum twice a day and within a few days, it made a big reduction in my acne. My skin also appears brighter. 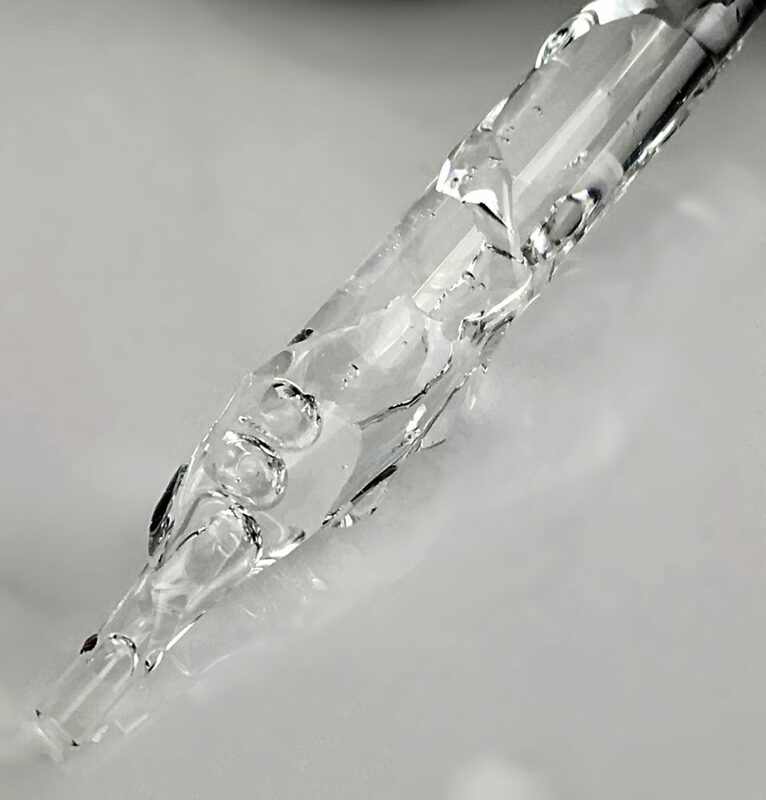 Hyaluronic Acid provides immediate plumping to fine lines and hydration. My skin feels soft with no irritation. Sagging and age spots take a bit longer to repair. Visible evidence of increased collagen production takes a few months to appear. This is when the wrinkles, sagging, and age spots measurably improve. 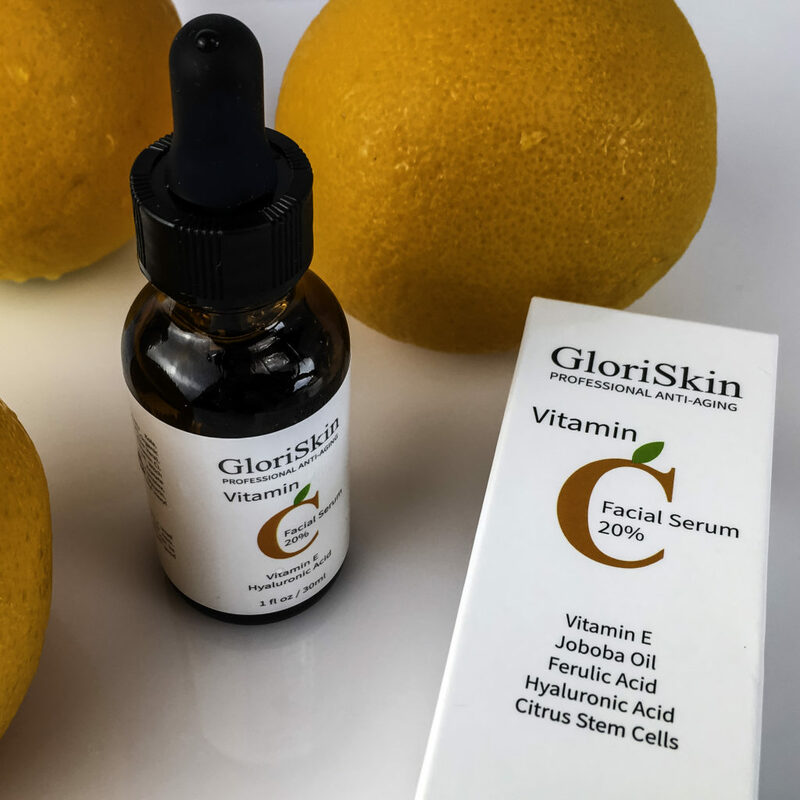 Because GloriSkin Organic Vitamin C Serum is so easy to wear under makeup or at night without any irritation, I am confident that I can use it long enough to see meaningful results! 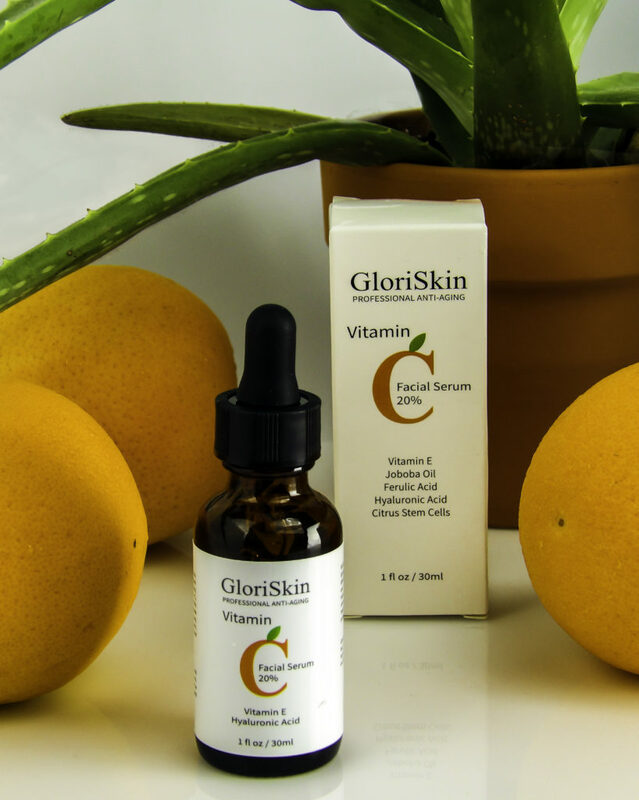 GloriSkin Organic Vitamin C Serum provides a residue-free, non-irritating, wearable serum. Plus it has excellent, natural ingredients that make the most of daily Vitamin C use! Style Chicks received GloriSkin Organic Vitamin C Serum in exchange for our unbiased review and received compensation for our time and effort. However, our experience with the product and the opinions expressed in this review are 100% ours. Wow these are great ingredients! That is a fantastic deal for those ingredients. I’m impressed! I love that you can use it 2x a day without irritation! I have to space out when I use my Vit C topical. That really is all star ingredient skincare! And the consistency sounds great. I apply most of these separately – having them all in one serum is great! And I love that it is organic.